Everyone has a goal. Some make it; others don’t. However, those who pursue their passion and achieve success create history. Social activist Raashi Anand is one such example. She was only 23 when she started her NGO Lakshyam for Delhi’s street children in 2009. 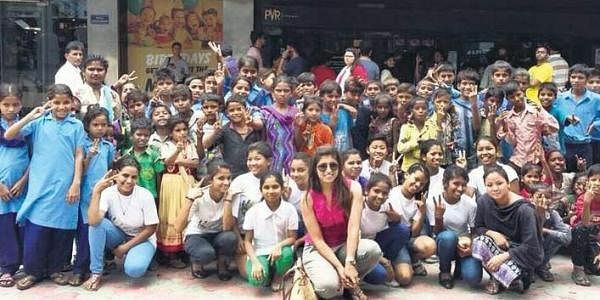 At an age when C-SATs and heartbreaks rule our minds, Raashi’s thoughts revolved around the future of deprived children. “I was sure that without a proper education, the kids will take the wrong path. I decided to support them both financially and mentally,” she says. The biggest accomplishment in her life was to step out of her comfort zone. She was underestimated by her relatives since she was shy and petite. Most of her friends also felt that one should think of setting up an NGO only after turning 40. Though starting Lakshyam was a challenge, a bigger difficulty was to convince parents to send their children to her. “Seeing my age and experience, most of them turned me down,” says the go-getter. Now when she looks back, the centre has more than 200 children studying in her school for underprivileged children, Sakshyam. A travel addict, she takes a break every four months, often stopping at rural destinations. “Work is not work for me anymore. Meeting new people and connecting with them on a deeper level means more,” says the music lover who admires the haphazardness of life. And when not working or travelling, she sneaks into a corner to read a book. She draws inspiration from Rhonda Byrne, the author of The Secret. She doesn’t perceive education as just theoretical knowledge. “It has much to do with righteousness and making the world a better place.” No wonder, her role model is Mother Teresa. If money hadn’t mattered, she would have educated every child for free and would have advised them not to run after money, but hunt for the hidden treasure within. If she had all the time in the world, she would have kept travelling till the end of the day. However, she is not one to lose heart and run away from problems. Raashi plans to take creative writing lessons once she is done with the social entrepreneurship she has enrolled in. One can never stop studying, after all.